Fred. 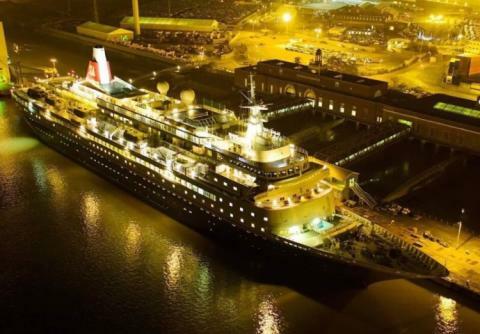 Olsen Cruise Lines’ is offering holidaymakers in and around the Essex area a choice of two festive sailings from London Cruise Terminal, London Tilbury in December 2016, on board 804-guest ship Black Watch. Fred. Olsen guests can opt to take in the very special Christmas atmosphere of Germany and Denmark, with Black Watch’s seven-night W1624‘German & Danish Christmas Markets’ cruise, departing on 15th December 2016; or they can choose to spend the festive season sailing around the UK and Ireland, seeing in the New Year in style in Edinburgh, Scotland, with an 11-night W1625 ‘Tinsel & Hogmanay’ departure, leaving on 22nd December 2016. Black Watch commenced her cruise season from London Tilbury on 11th November 2016, with a sell-out ‘European Cities & Waterways’ cruise. On Black Watch’s return to London Tilbury on 18th November 2016, the ship will then sail to Hamburg, Germany, where she will spend just under one month in dry dock, in preparation for the forthcoming 2017/18 cruise season. The ship will undergo various engineering works, general maintenance and refurbishment, as well as the creation of several new public areas and guest facilities, as part of a multi-million Pound investment. - Seven-night W1624 ‘German & Danish Christmas Markets’ cruise, departing on 15th December 2016.Prices start from £749 per person, based on two adults sharing a twin-bedded Ocean View Room (with limited availability). All prices include accommodation, all meals and entertainment on board, and port taxes. Fred. Olsen will be offering four sailings from London Tilbury in November and December 2017, from 13th November until 13th December 2017, again with Black Watch. 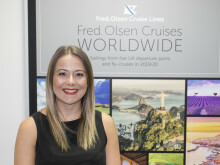 Guests can choose from a sunshine cruise to the ‘Canary Islands, Morocco & Portugal’, a ‘Scotland Winter’ voyage, a festive break to the ‘German Christmas Markets’, and a one-night ‘Taster Cruise’.